Go outside to the side of your house, place 1 block in front of you, and jump on it. Jump again and quickly place another block under yourself as you’re in the air. Do this until you reach the top of your house. Build a new ceiling above you, as you also did earlier. Now that you have a multi-level house, you have to be able to navigate between the different floors. There are various methods and techniques to accomplish this but the simplest is to make and use a ladder. Ladders are easy to craft and multiple ladders can be used to quickly scale up your building, no matter how many levels! Other options include scaffolding or creating stairs inside your building. Now that you have a two-story house, add some of the decorative elements we’ve described, such as putting in windows and doors. You also need a way to move from one floor to the other. You don’t have to make anything fancy — you can just make a hole in the floor of the top floor and leap down to the first level. Or you can build a stairway with blocks. If you think your building is somewhat dull, don’t be afraid to add some color to it. Play with different colors and types of blocks. 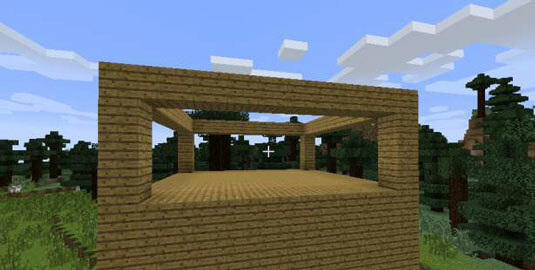 For example, if you made a library, add bookshelves to the outside walls as decoration. 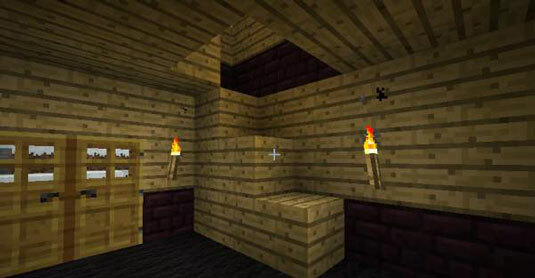 Check out these 10 tips for designing your Minecraft house.